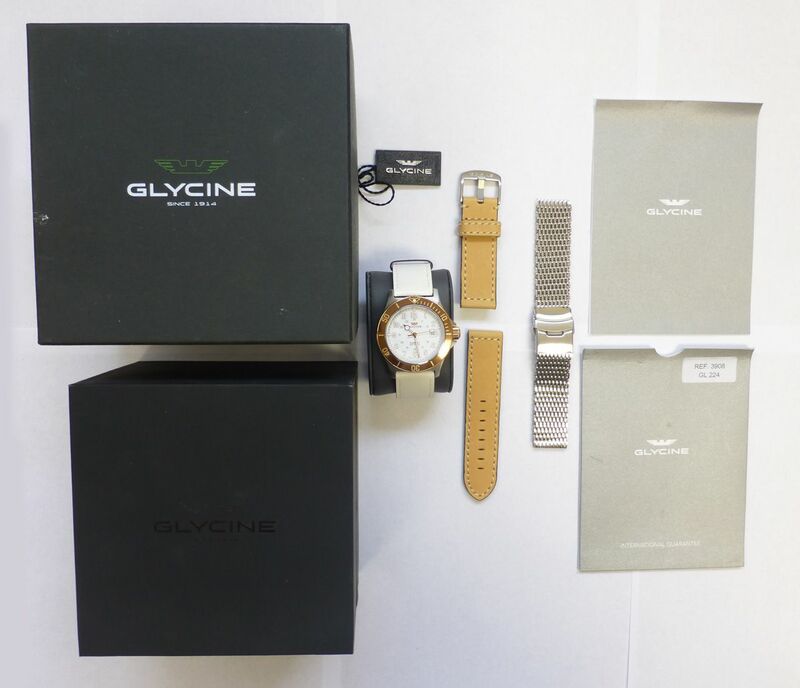 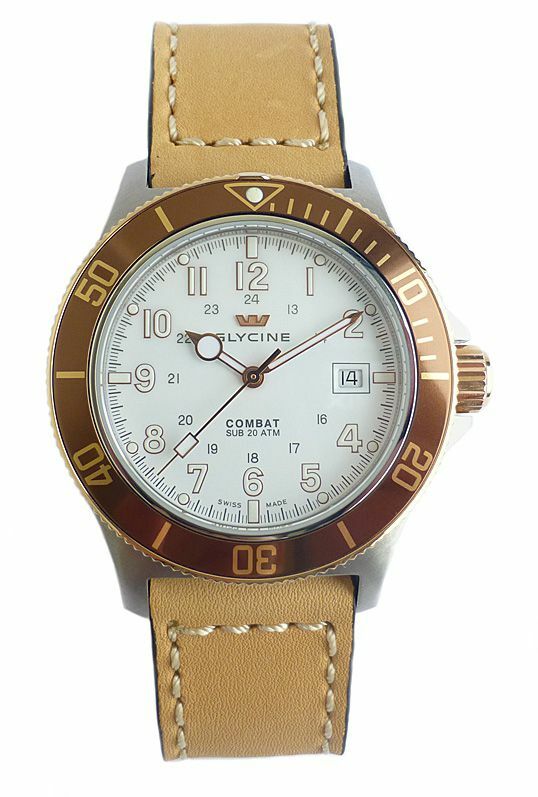 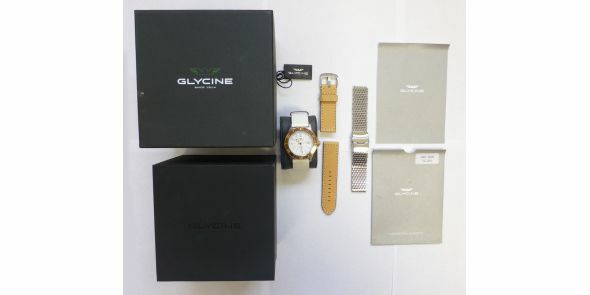 Mint and unused looking condition Glycine Combat Sub. 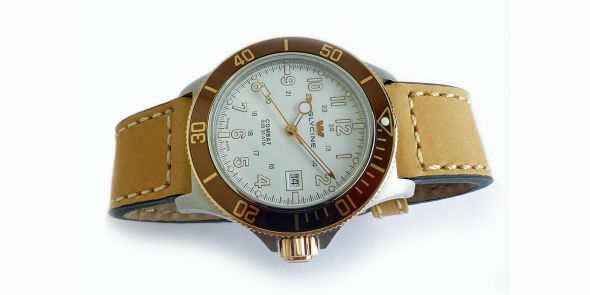 It is just over a year old and not seen much wear and hard to find a single mark on it. 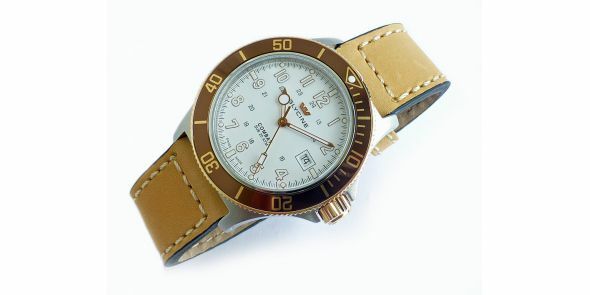 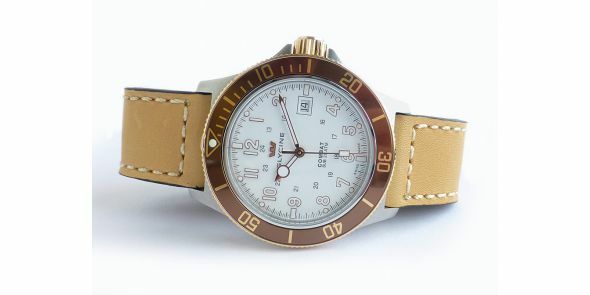 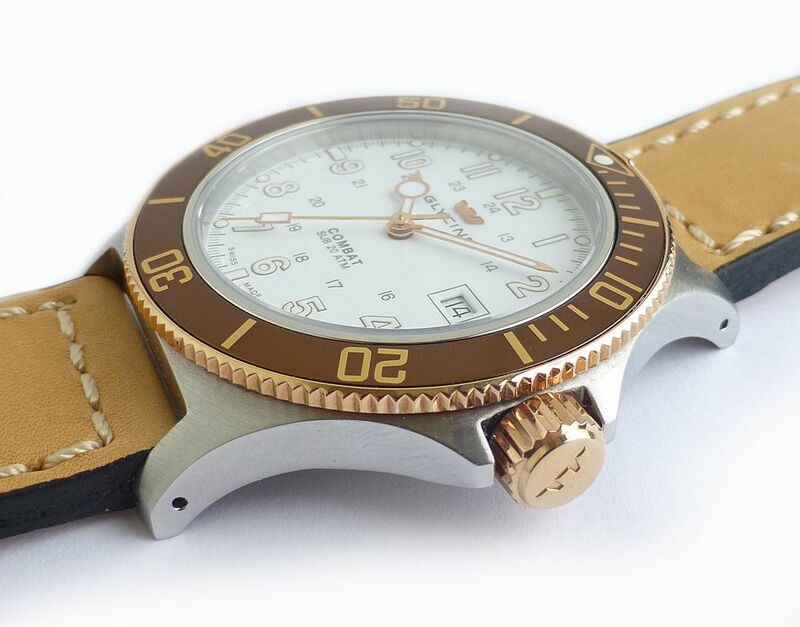 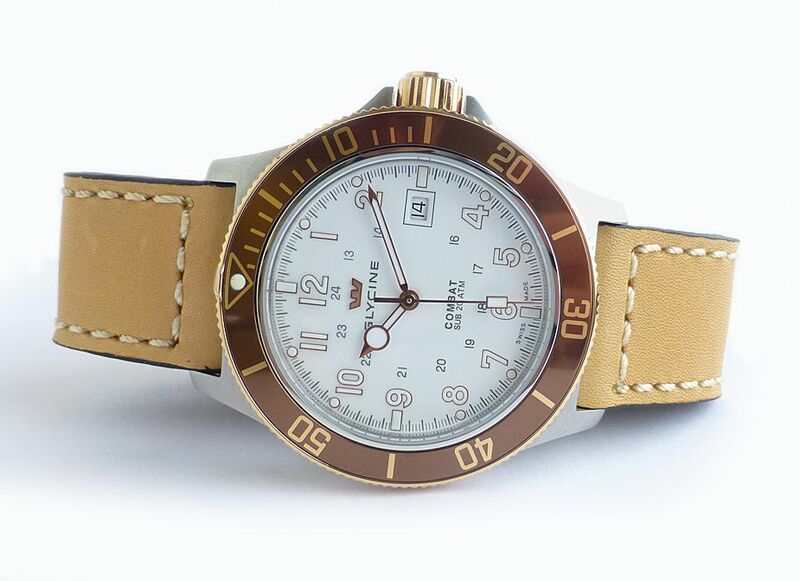 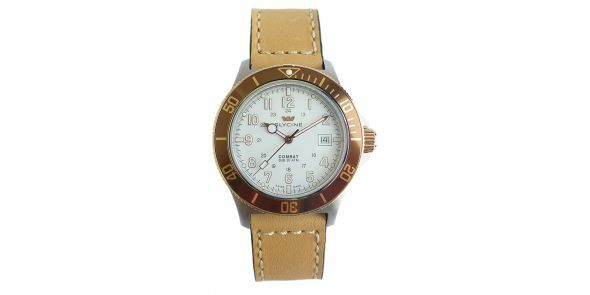 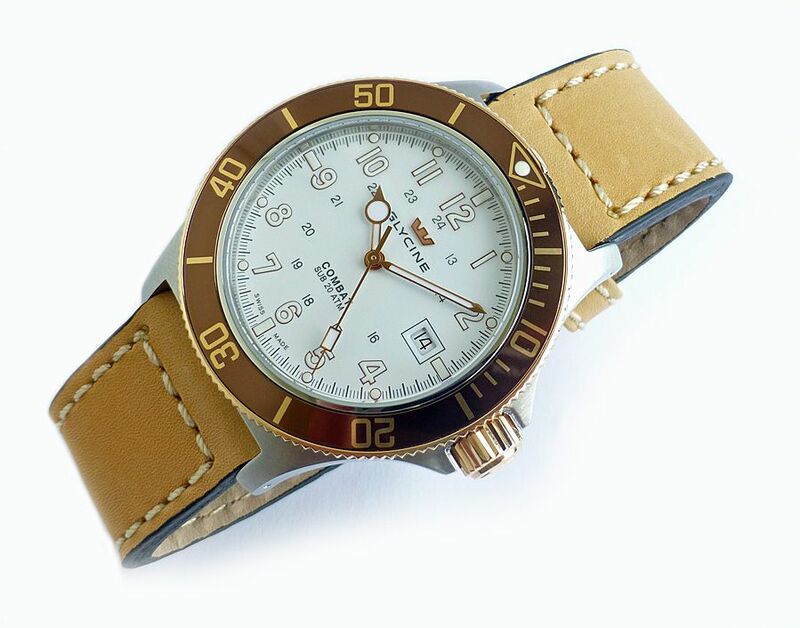 It is steel and gold colour with brown bezel and white dial, with an original white leather strap and a tan leather strap, both in new looking condition. 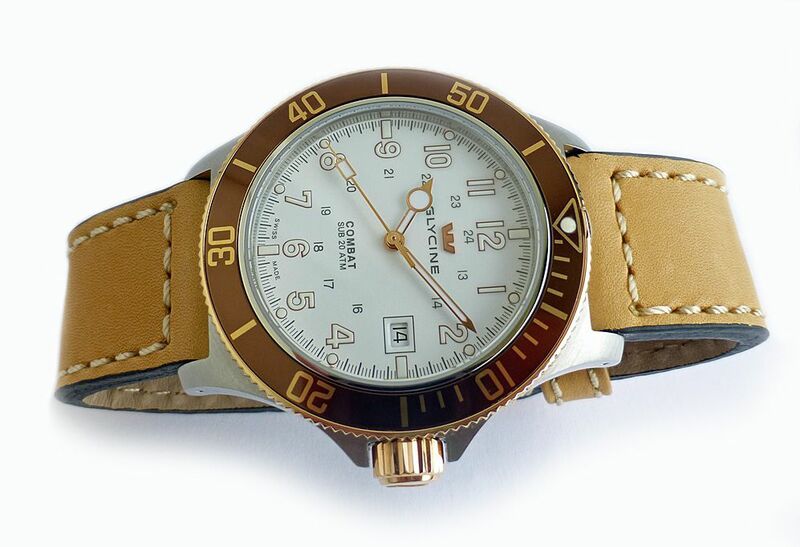 This colour combination makes it a nice looking summer watch. 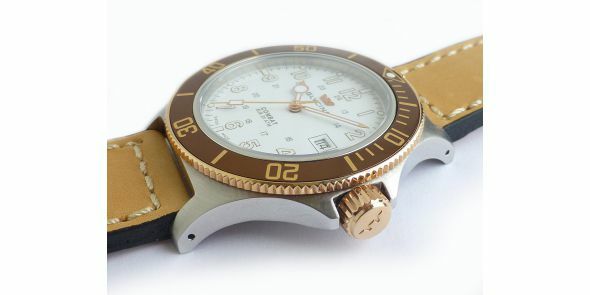 Oscillating weight: Rotor is rhodium coated, decorated "Côtes de Genève", and bears the engraving of an airplane.